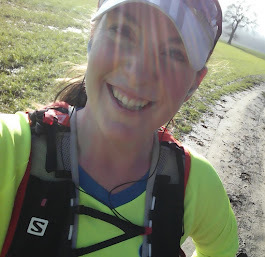 These days I call myself a runner...: Not another injury?!? I went out for an easy 4 miles yesterday...and half way through started really suffering from terrible cramps in the back of both my lower legs and across the tops of my feet. I tried to stretch out, to no avail, so ran through the pain, and as soon as I got home could do nothing other than lie in a hot bath. Possibly not the best way of dealing with it, but it helped ease the pain, and stretching was making no difference. This morning I was still experiencing the same pain, so, very worried that this was some issue related to my achilles injury that I thought I'd recovered from, I spent some time consulting Dr. Google to find out what might be wrong...and the conclusion I came to was that was probably a nutritional & hydration issue. It seems that calf/lower leg cramps are very common amongst runners and other athletes, and are often caused by a mixture of dehydration, and a lack of potassium and magnesium. As this has happened at the end of a week when we happened to run out of bananas in the fruit bowl, I've barely eaten any salad, and I know I've not been drinking enough, this sounds pretty likely! So, I had a decent breakfast, including the all important, potassium rich banana, and more to drink that I usually have in a day, popped a multivitamin, as well as some ibuprofen & paracetamol, and an hour or so later headed out for my long run of the week. A mile in, I still had a fair bit of pain, but stretched out again, and went on. Amazingly, during the run, the pain definitely eased, and at the end of my 10 miles, the cramping has completely gone, and now I'm not in any pain at all. I really need to be so careful with my diet and hydration, particularly as my mileage increases as the marathon draws nearer - something so simple can make such a big (painful!) difference. Well done for persevering and listening to those aches. It is amazing how we know when to stop and when it is ok to carry on. I must admit I think my pre-run food and hydration is crap so you are not on your own.